Happy Valentine's Day! You already know I don't hate this holiday - I rather love it in fact. It's a great day to tell people just how much you love them. Even if you tell them year round, who doesn't like hearing that they're appreciated? 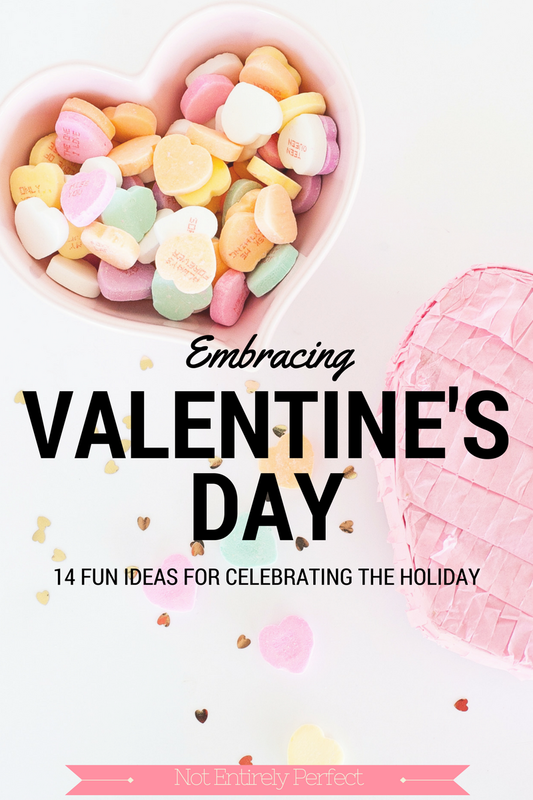 Whether you plan on showing your love to the people or pets in your life, or even just yourself, I have a few ideas for you today. 1. Hand-make a card. Base your design off one of the fun and cheeky sayings on Etsy. 2. Call your parents and tell them how much you appreciate them. Or send them an e-card. Or an edible arrangement, my parents love those! 3. Make my chocolate raspberry martini cupcakes. There's booze in the frosting. Everybody wins. 4. Wear your favorite red lipstick. Or pink if that's your jam. 5. Use mini liquor bottles instead of a box of chocolates. I actually made these into a bouquet once for Tara, instead of roses. 6. Paint your nails. And otherwise pamper yourself, because you deserve it! 7. Order a raspberry drink at Starbucks. It'll make your drink pink. Just get 1 pump, or even half a pump, it's sweet. Raspberry mochas are delicious. 8. Adopt a pet. If it's something you've been thinking about (don't decide on a whim! ), today is a great day to give your future best friend a forever home. 9. Watch a non-traditional Valentine's Day movie. Like How to Be Single. Typical romantic movies are so boring and predictable. Try something more entertaining. And since we're on a Rebel Wilson kick, watch Pitch Perfect after that. 10. Get you furry best friend a new toy. Or some extra treats. If you make some homemade food, add beets to tint in pink for a hint of Valentine's Day fun. 11. Make your loved one their favorite dessert or candy. John's are Reese's. Maybe strawberry and champagne cake balls? 12. Buy something off your wish list. It doesn't have to be pricey, just something you've had your eye on. You love yourself, right? 13. Break out the champagne! It's a good a day as any to enjoy some bubbly. I've recommend the Trader Joe's peach bellini before, and they have a strawberry version as well. Or try this strawberry bellini cocktail you can make yourself. 14. Have a quick giveaway for your loyal blog readers, whom you love so much. Which is what I'm doing right here - you can enter right now to win a $25 Target gift card! Just tell me you want it by leaving a comment (or send me an email, or Tweet, whatever.) I'll pick a winner at the end of the week. I hope you try at least one of them. Like entering the giveaway. Enjoy your Valentine's Day!